Discover all that's happening beyond our borders. As Art + Design students, travel opportunities expound learning, and study abroad programs are great ways of adding to your education. Earn credits toward your degree while overlooking the picturesque landscapes of Italy, Iceland, and Germany. Sculpture, photography, art history, drawing, and painting are just a few of the classes that can be fulfilled by these valuable learning experiences. This robust immersive learning experience will aid students to become active and influential designers by examining the evolving theories, methods, praxis, movements, and history of how we design throughout the four orders of design as defined by Richard Buchannan. Students will experience the richness of communication strategies within semiotics, construction factors through physical objects, actions via services and processes, and lastly integration of design as thought. In other words, students will encounter an in-depth exploration of visual communication, object & industrial, interaction, and environmental (place and space) design during a deep dive within a new and foreign country; Germany. 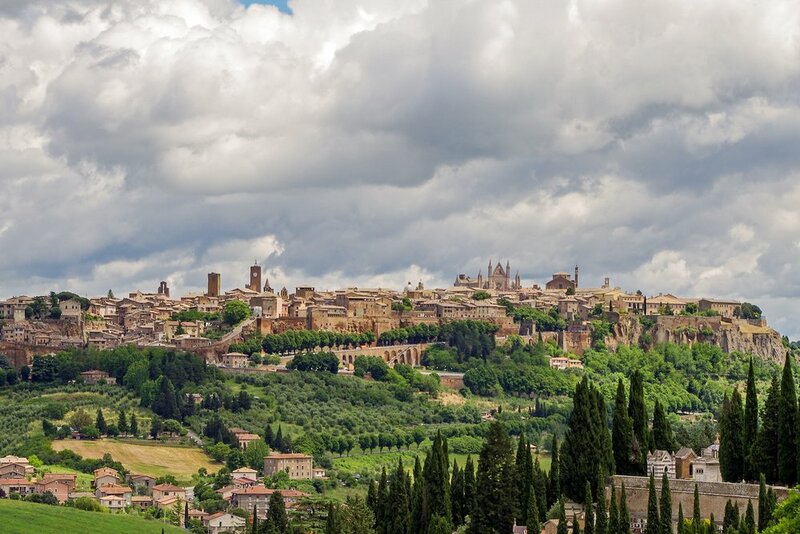 2,500-year-old Orvieto commands spectacular vistas of the verdant Umbrian countryside, where students live just steps away from the breathtaking duomo, a gothic cathedral from the 14th century. During your stay, you'll live in a modernized 13th century monastery, steeped in living history and creative possibilities. Walk the cobblestone streets, the country lanes, and the pilgrims' way to Rome. Get a deep and personal view of Rome on a four-day stay with faculty and immerse yourself in the timeless art and architecture that it holds. Gain knowledge of art history in picturesque Italy. This course will focus on Italian architecture and Art History, as well as internal reflection. We will engage in visiting historic churches, exploring the Coliseum, sharing devotions, and spending time reflecting on the beauty and cultural experiences. The travel experience will take you to Rome, Florence, and Venice. Gain experience as a travel photographer in the beautiful country of Iceland. This course will focus on landscape and cultural photography, as well as internal reflection. We will engage in intentional community, spending hours together preparing meals, editing and sharing photographs, sharing devotions, and spending time collaborating on photographic techniques.